KPU welcomed its first Elder in Residence at a special installation ceremony on January 29, 2015. The University is pleased to announce Lekeyten, of the Kwantlen First Nation, in this important role. The primary focus of KPU’s Elder in Residence program is to support and encourage Indigenous students on their educational journey.? 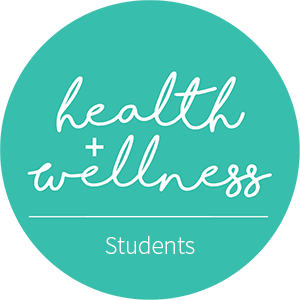 In his role, Lekeyten will share knowledge, traditions and teachings with individual students and groups and will work with the University to encourage and promote understanding and respect for Indigenous perspectives, culture and values.? For more information on KPU's Elder in Residence,?click here. 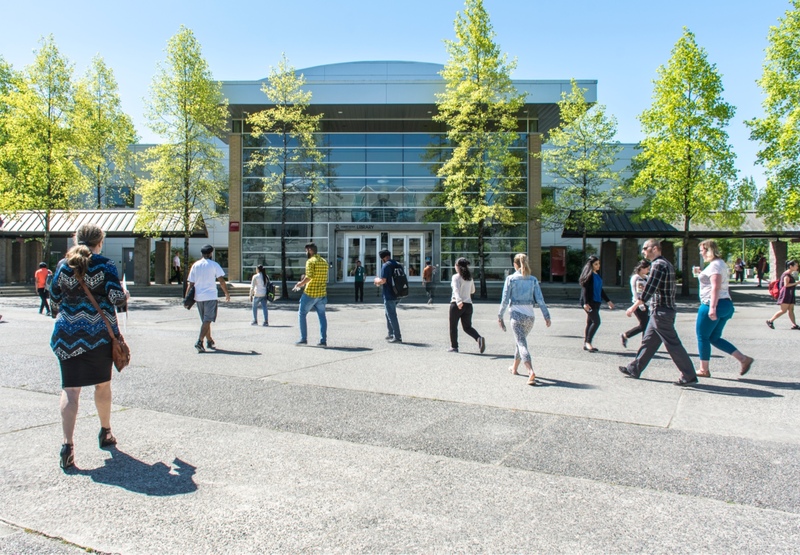 Kwantlen Polytechnic University (KPU) takes its name from the Kwantlen First Nation.? We work, study, and live in a region south of the Fraser River which overlaps with the unceded traditional and ancestral lands of the Kwantlen, Musqueam, Katzie, Semiahmoo, Tsawwassen, Qayqayt and Kwikwetlem peoples. 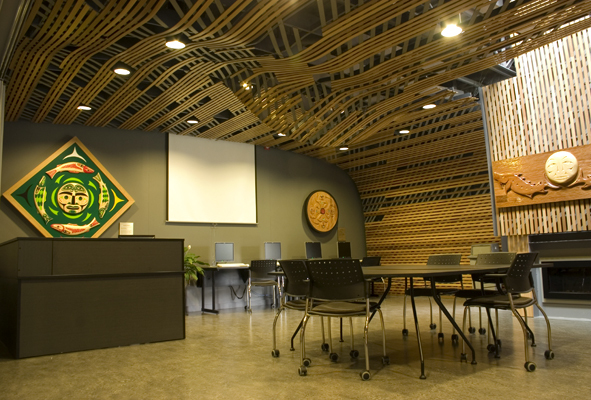 Proudly sharing the name of the Kwantlen First Nation, the word 'Kwantlen' means Tireless Runner, and is reflected in the university's motto: "through tireless effort, knowledge, and understanding." The representation of a wolf and salmon in KPU’s Coat of Arms, was created by former KPU Fine Arts student, Brandon Gabriel, nephew of the hereditary Chief of the Kwantlen People, Chief Marilyn Gabriel. 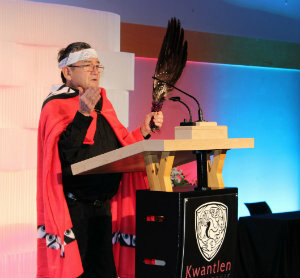 In 2015, KPU appointed its first Elder in Residence, Lekeyten of the Kwantlen First Nation. In his role, Lekeyten supports Aboriginal students on their educational journey sharing knowledge, traditions, teachings, and promoting an understanding and respect for Indigenous perspectives, cultures, and values.